Always running out of room on your iPad? The solution is simple and not as pricey as you might expect. There are a lot of external hard drives and flash drives out there but a lot of them don’t work well (or at all) for the iPad. Don’t find that out the hard way! Instead, you can benefit from the research and testing we did on our quest to find the best iPad storage extension solution. 3.1 How do I connect my external hard drive to the iPad to watch movies? 3.2 Are these compatible with iPad Air, iPad Pro, iPad mini? 3.3 What is the best wireless option? 3.4 How do I backup my whole iPad? A wireless hard drive is as easy as it gets when it comes to connecting to your iPad. You can use this with any wi-fi enabled device that has a web browser. As long as your iPad has iOS 4.3 or higher, this external HD will work. It creates a personal Wi-Fi network so you don’t have to search for internet hotspots. You can enjoy this connectivity even when totally off-the-grid, like on a camping trip in the middle of nowhere. This high-capacity hard drive not only serves as a storage and backup option but it can also be used to stream content, including HD movies. 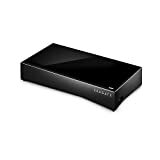 In fact, it can stream 3 HD movies at once to 3 different devices. This makes it ideal for road trips where different people want to watch different things on their respective iPads. Parents tend to be particularly fond of this feature. Although this is great for iPads, it can also be used with both PC and Mac computers, Android mobile devices, and even smart TVs. To stream your media, you just need to install the free Seagate Media app. You can also easily synchronize and save cloud files from places like Dropbox and Google Drive. Although this is a pretty user-friendly tool, Seagate offers a number of helpful tutorials to make sure you’re getting the most out of it. This high-capacity drive helps you significantly expand the storage capacity of your iPad. It’s completely wireless and you don’t need cables or internet for it to work. There is room for storing 500+ movies or thousands of photos, songs, and documents. Once you install the LaCie Media app on your iPad, you can instantly access all stored content. Browsing and organizing all of the content in the app is easy. Moving files onto the hard drive from either your computer or any of your mobile devices is quite simple. You can do this wirelessly but for a faster transfer, you can use the SuperSpeed USB 3.0 connection. AirPlay compatibility means that you can stream HD movies from the hard drive to your iPad or Apple TV. The Fuel is also compatible with Samsung Smart TV, Chromecast, and Roku. For the capacity alone, the LaCie Fuel is very reasonably priced. When you add in the wireless connectivity and the simple streaming functionality, it’s a steal. Verdict: The LaCie Fuel 1TB offers perhaps the best value in a high-capacity wireless external hard drive. Are you a content hoarder? Do you want easy access to all of your movies, pictures, home videos, and important documents? This extra-large capacity external hard drive has your back. With an incredible 4TB of space, this drive from the western digital brand is especially useful for creatives like photographers and videographers. With the ability to easily offload, edit, and stream photos and videos in the field, it saves time and doesn’t interrupt the creative flow. This is also a great drive for someone with a huge movie collection who likes to have all kinds of options for what to watch, especially when traveling. Transferring content is pretty straightforward, using either wireless 802.11ac, the USB 2.0 port, or the SD 3.0 card reader. The battery life should last up to 10 hours and you can also use it as a USB power bank to charge mobile devices. This is another example of a wireless hard drive that creates its own wi-fi network. To stream content, including HD videos, you use the My Cloud app. Third-party apps can also be used to capture and save footage directly to the hard drive rather than onto the iPad. 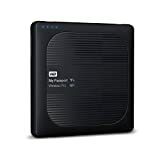 Verdict: The WD 4TB My Passport Wireless Pro is a great option for anyone who needs a lot of storage space. 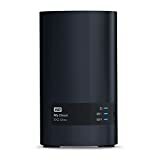 A network-attached storage (NAS) device like thie 4TB drive from Seagate is a great way to automatically back up all computers and mobile devices in your home, both PC and Mac as well as iOS and Android. This gives you the ability to securely access your files from anywhere. You’ll also have the ability to safely share content with friends via a secure link. This drive will let you stream 4K movies to a smart TV. This is a very unique hard drive in that it is IFTTT compatible. Using If This Then That formulas can significantly expand the functionality of this already robust hard drive. For example, you can use IFTTT to connect with Facebook, Instagram, Dropbox, and SoundCloud. This HD also supports Plex Media Server for those who prefer Plex for organizing and streaming their content. If you’re looking for an external hard drive for your iPad and nothing else, this probably isn’t the greatest drive for you. If, however, you’re looking for something that will work for your iPad but also a number of other devices in your home, this Seagate drive is a winner. It will automatically upload any new photos or videos on your iPad using the SeagateMedia app. Verdict: While the Seagate Personal Cloud 4TB is definitely not the best NAS device on the market, it is a very good high-capacity external hard drive that is compatible with most devices plus Plex and IFTTT. Design should probably be the least important factor when buying an external hard drive or NAS but that doesn’t mean it’s not worth celebrating a beautiful design. WD’s EX2 is very nice to look at it, with its sleek and modern design. Luckily, it’s more than just a pretty piece of tech and it actually works quite well in addition to looking great. It has a Marvell ARMADA 385 1.3GHz dual-core processor, meaning transfer rates are super fast and streaming is high-quality. Because it has 1GB of DDR3 memory, it is able to multi-task, like allowing your content to transfer while also streaming a movie, for example. You have the ability to automatically synchronize your content on all of your devices if desired. The Plex Media Server is built right into this for the height of convenience and beautiful organization of all your media. You can count on the highest security with this NAS, as it has volume encryption and password protection built right in. This diskless model does not come with the actual hard drive but is rather a high-powered tool to take a standard hard drive to the next level. You do also have the option to purchase this with the drives pre-populated. Verdict: The WD Diskless My Cloud EX2 Ultra NAS has the potential to be a high-powered all-in-one backup solution, and provide unparalleled storage capacity. But it is expensive and might be more complex than you might need. For the person who uses Apple products exclusively, the Apple Time Capsule is the perfect external hard drive solution. Designed to work seamlessly with OS X, you can back up all of the content on your computer using Time Machine. You can also use it with iPhones, iPads, and iPods as a backup storage solution. Connecting your devices is easy, as you can either go wireless with wi-fi or use one of the many ports designed to accommodate all Apple devices. The Time Capsule offers crazy fast speeds, up to 1.3 Gbps. For the family with a lot of different Apple devices, you can all connect to and use the Time Capsule. It has the style and quality that you would expect from an Apple product and you get the same great support as well. One really neat thing about this is that it can also help amplify and disperse your wi-fi signal, helping you get a better prime signal throughout your home. Although the Time Capsule is designed primarily to be a solution for seamlessly transferring your Time Machine backups, it offers a number of useful features. Verdict: For the Apple aficionado, you can’t do any better than the Apple Time Capsule as a backup storage device. The great thing about an iPad is that it can do so much but it doesn’t take up much space. When on the go, it’s natural to not want to have to cart around a bunch of extra equipment. Most external hard drives aren’t huge but they still take up some valuable real estate in your bag. This flash drive from SanDisk takes up almost no space at all yet offers you a decent amount of storage and a surprisingly fast transfer speed. No bigger than a pack of gum, this is a great way to expand your storage capacity. The flexible connector fits into your lightning port and will automatically back up photos and videos. 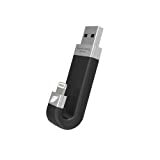 In addition to using this with your iPad, it features high-speed USB 3.0 transfer to your computer and works with both Mac and PC. The iXpand Drive app is great for managing your content. Another cool feature is that when this flash drive is connected, you can use the in-app camera to take and save photos and videos directly to iXpand. This is a great solution if your iPad is out of or nearly out of storage space. Verdict: The low-cost, small-size, high-speed SanDisk iXpand Flash Drive offers a reliable and easy to use iPad backup option but it isn’t great for media playback. Best solution for portability. If you just want a relatively low-cost solution for when your iOS mobile devices are low on storage, the Leef iBridge is a good option. This small flash drive can bridge the gap between the amount of space you have left and the amount of content you want access to. Although not made by Apple, this flash drive definitely tries to match the Apple aesthetic and succeeds. You can use it to easily backup and shares photos and videos from your phone or iPad. The option to capture photos and videos directly on the flash drive is also an option. You can use it to save space by storing your music and movie libraries on the iBridge rather than giving up precious phone space. The unique J-shape design has a USB plug on one side and a plug for an Apple Lightning Port on the other. Verdict: The Leef iBridge Mobile Memory is a low-cost flash drive for easily expanding the storage size of your iPhone or iPad. This is another low-cost option for expanding the storage capacity of your mobile devices. Its small size makes it easily portable but this is made even more convenient with the keychain feature. The aluminum build quality is quite good and this should be rather durable. With both USB 3.0 and lightning port connectors, you have a few different options for connecting to your devices. One thing both of these connection options have in common is speed. The iPlugmate app can be used for media playback, like for watching movies stored on the flash drive. An extra long lightning connector means that you don’t have to remove your protective case like you’ll see with many other flash drives. This is really a plug-and-play tool without a lot of setup time needed. 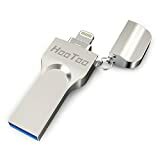 Verdict: The HooToo 128GB Memory Expansion is a low-cost, best value and high-speed solution to the challenge of running out of room on your iPad. One annoying flaw in the overwhelming majority of flash drives and external hard drives is that you can’t charge and transfer or charge and stream simultaneously. This RAVPower flash drive solves that problem and allows for simultaneous charging and data transfer. This flash drive also has a unique design where you fold and unfold the lightning cable that is held in place via magnet. It also has a long lightning connector that means even with the really bulky protective cases, you won’t have to take them off to plug it in. USB 3.0 data transfer is really fast, even with extra large files. You have the option to save movies and music directly to the flash drive and you can then stream this media straight from the drive as well. It really is plug and play functionality. Verdict: The affordable RAVPower 64GB USB Flash Drive offers fast speed and really stands out for allowing for simultaneous charging and data transfer. How do I connect my external hard drive to the iPad to watch movies? There are several options, depending on the exact equipment you are using. In case your iPad is jailbroken, it is fairly easy and straightforward to watch movies on your iPad that are stored on your external hard drive. If your iPad isn’t jailbroken, you can still do this in one of a few ways. If you have enough room on your iPad to store one movie at a time, you can connect the HD and then transfer a movie to your iTunes and watch it that way. This process can be a bit annoying since you’ll have to upload and then delete each movie just for storage space reasons. If you don’t want to add it to your iTunes or it’s a file format that doesn’t work with iTunes, you can add it to your library and play it using a VLC app. The absolute easiest way to watch a movie on your iPad from your external hard drive, though, is to use something like the Seagate Wireless Plus and its companion app. This app lets you stream any movie stored on the stored on the hard drive. It is incredibly easy and fast. And it’s not just the Seagate. 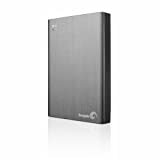 Several of the external hard drives on this list allow you to watch movies using an app. Even the low-cost HooToo 128GB Memory Expansion gives you this option. In many case, you can even watch full-quality HD movies this way. Are these compatible with iPad Air, iPad Pro, iPad mini? Yes, all of the hard drives on this list are compatible with various iPad models. Some of them are wireless while other require a wired connection. The lightning port on all of these iPad models will work to connect the external hard drive or flash drive. What is the best wireless option? The Seagate Wireless Plus is the best wireless external HD to use with an iPad. The LaCie Fuel and the WD 4TB My Passport Wireless Pro are other good wireless options. How do I backup my whole iPad? It’s pretty straightforward to use your external HD to store a backup. You can already set your iTunes backup to be saved to a specific location on your computer. 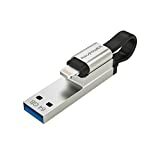 The easiest way to store the backup on your external HD is to connect the HD to your computer and simply drag the iTunes backup to your HD. This tutorial shows you how to backup your iPad to your external HD using the iMazing software, an even easier process. With the Apple Time Capsule, you can use Time Machine to seamlessly store the backup. The process is different for each model but it is possible and surprisingly easy no matter which model you use. Do you have your eye on any of these external hard drives? Let me know in the comments! It allows me to watch movies on my iPad without taking up precious storage space while also knowing that I can always count on having a backup of all my photos. Do you have any questions about using a hard drive with your iPad? Feel free to ask and I’ll do my best to get you an answer. I loaded my music library which consists of 3400 songs. How do I find a particular song?